High Performance The Javelin is the gold standard for all food thermometers. Ultra-fast 4 second readings at all typical cooking temperatures makes this the perfect cooking thermometer for meats, liquids, candy, and baked goods. 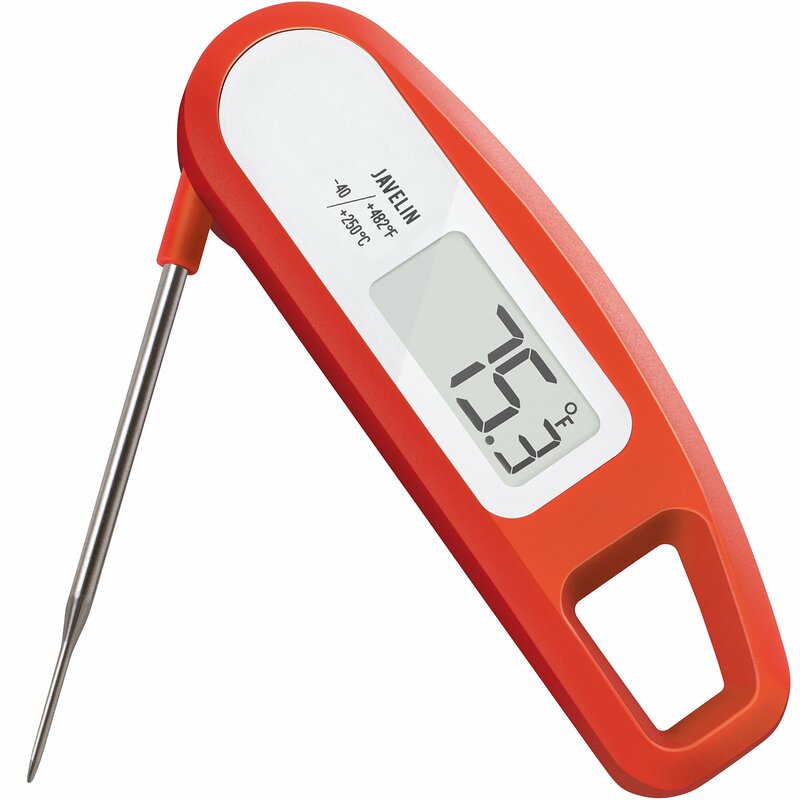 With an accuracy of 0.9F, its the best performing instant-read thermometer in its price range. Built for Professional Use Our product is NSF approved for commercial and professional use. We use high-quality impact-resistant polymers to prevent warping and cracking. The Javelin can survive 4,000+ hours of continuous use on a single change of battery. Feature Packed We use food-grade 18/8 stainless tapered probes minimizes the puncture footprint on your food. It's magnetic, which means you can attach it onto the refrigerator or oven instead of having it lost in a drawer; a perfect storage solution for a busy kitchen. Silver-ion anti-microbial coating also prevents bacterial growth from raw foods. Cheap & Dangerous Imitators Cheap imitators have flooded the market with slower and inaccurate products that aren't approved by any food-safety agencies. Why take the risk?